DJ Khaled is back with “another one” today, as the producer extraordinaire celebrates the release of his new album, Grateful. Apple Music and Spotify users can stream it in full below. Grateful serves as the follow-up to last year’s Major Key, and like that album, boasts a truly staggering number of A-list names. Among them: Beyoncé, Rihanna, Drake, Chance the Rapper, Jay Z, Nicki Minaj, Future, Justin Bieber, Migos, Lil Wayne, Pusha T, Nas, Alicia Keys, Young Thug, 21 Savage, Rick Ross, Calvin Harris, Gucci Mane, 2 Chainz, Big Sean, and (exhale) Travis Scott. Rap kingpins Kendrick Lamar and Kanye West are missing, but who’s really keeping tally at this point? 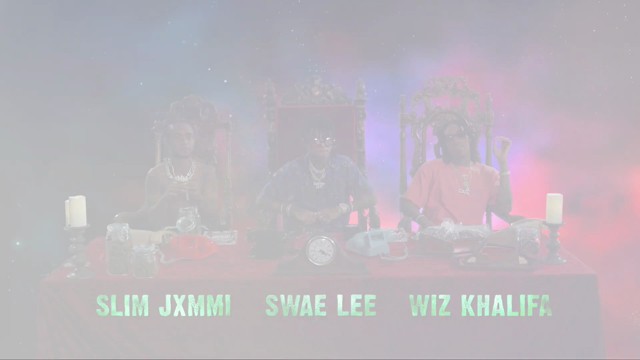 Included on the expansive 23-track collection are early singles “Shining” featuring Queen Bey and JAY-Z, “To the Max” featuring Drizzy, the Rihanna and Bryson Tiller collab “Wild Thoughts”, and the song-of-the-summer contender “I’m the One” boasting Lil Chano, the Biebs, Migos’ Quavo, and Tunechi. The entire LP was supposedly executive produced by Asahd Tuck Khaled, DJ Khaled’s infant son and clearly the most baller baby in the world (see the album cover below).